Hopeful Parents: Ready To Ride The Dragon? 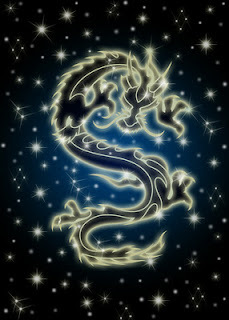 The Year of the Dragon begins on January 23, 2012, and ends on February 9, 2013. In Chinese astrology, in addition to having an animal sign, each year also has an element (wood, water, fire, earth or air) that helps to define the symbolic animal and further explain the coming days. This year, we have a Water Dragon. The last time we had a Water Dragon was in 1952. Have you been wanting to make changes in your life? Try new things or begin a special project? This is one of the best years to do it! There are 12 animal symbols (one for each month) represented in Chinese astrology and we are entering The Year of the Dragon. Of all the symbols, the Dragon is the one mythical creature (as compared to Tiger, Rabbit and others) and the only one that can fly. This promises us exciting year! When we examine Chinese lore, we see that Dragon years can be dramatic. Why? In Chinese astrology, the Dragon is the mightiest of the signs. Dragons symbolize character traits such as passion, dominance, and raw ambition. They are unafraid of challenges or change and do everything on a grand scale. In China, the Dragon is also a sign of good fortune and the Year of the Dragon is considered an auspicious time for new beginnings. This is a good year to start a family, a new business venture, or embark on a transformation in your life. The Dragon, perhaps because of its passion, may also bring a rougher style of communication - less diplomacy and more directness, so be prepared. We are coming out of a Rabbit year and Rabbits are much more diplomatic than Dragons, but I guess when you are a Rabbit you have to be. Because this year is the Year of the Water Dragon, affairs maybe tempered because water helps calm the Dragon’s fire. That’s why Water Dragons tend to be less stubborn than your regular old Dragons. The implication of having a Water Dragon year is that Dragons might find a little more room for seeing someone else’s point of view and behave in a less dramatic fashion. Regardless of your particular animal sign, the Year of the Dragon promises stimulating days to come. In the Chinese Zodiac, your sign is determined by the year in which you were born. The Dragon years are: 1904, 1916, 1928, 1940, 1952 (also a water dragon), 1964, 1976, 1988, and 2000. The people born during The Year of the Dragon are an extroverted, enthusiastic bunch. They also tend to be hard workers, big risk takers, brave and conceited. They are known for quick tempers. You can see why the Dragon is never to be ignored. As we begin any new year, many of us spend time setting goals and imagining the year ahead. Our last Year of the Dragon occurred in 2000 and, at that time, everyone was concerned about a global meltdown because of the infamous Y2K. It never happened. Now, for this 2012 Year of the Dragon, there are more dire predictions. But, as long as we are still here, I plan to embrace the fearlessness of the Dragon, begin new projects and be optimistic about the Year of the Dragon. I plan to ride the Dragon and hope I don’t fall off.